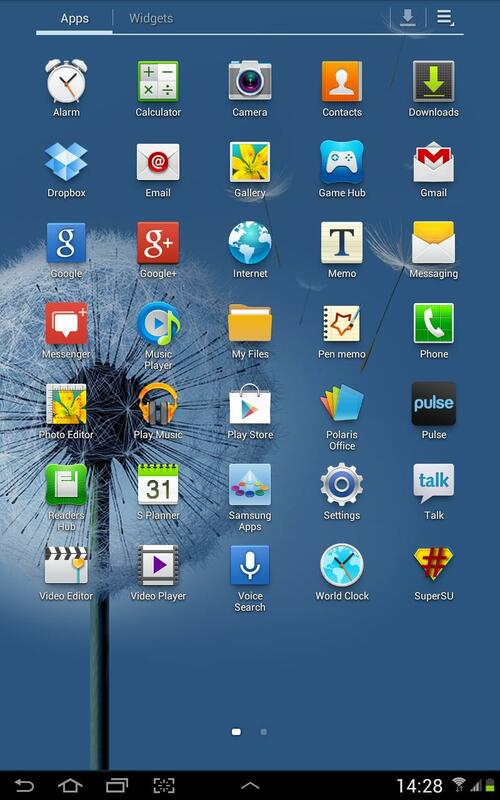 Samsung recently rolled out its first official Android 4.1.2 Jelly Bean update for Galaxy Tab 7.7 GT-P6800. The official firmware is now available as an Over-The-Air (OTA) update as well as through Samsung KIES. Samsung Galaxy Tab 7.7 P6800 users who have already updated their devices with Android 4.1.2 Jelly Bean, may root their devices using the tutorial below. This tutorial uses CWM/TWRP recovery released by Senior Member of XDA-Developers, daniel_hk. The custom recoveries allows users to root their devices without any difficulty. 1. Install USB Drivers for Samsung Galaxy Tab 7.7 on your computer. 2. Enable USB Debugging Mode on the tablet by navigating to Settings >> Developer Options. 4. The Galaxy Tab 7.7 should be factory unlocked and not locked to any particular carrier. 5. Ensure the battery of the tablet is charged more than 80 percent. 6. 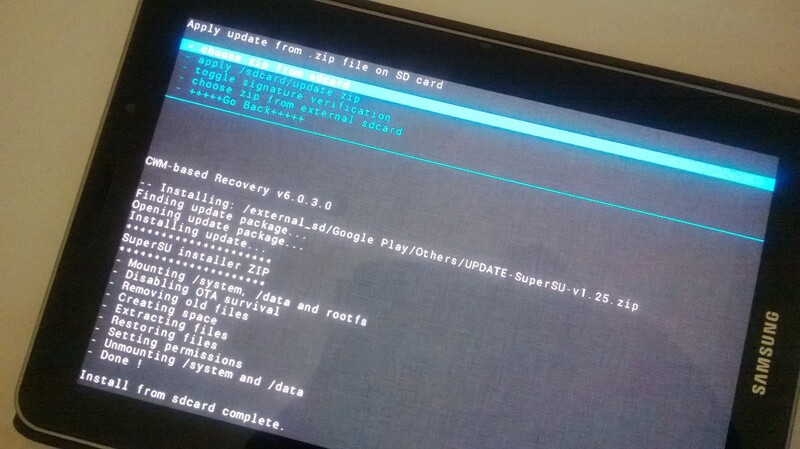 The CWM/TWRP Recovery works only on the Samsung Galaxy Tab 7.7 (GT-P6800). Applying these on any incorrect variant will brick the device. Verify the model number of the Galaxy Tab 7.7 by selecting Settings >> About Phone. Step 1: Extract the Odin 3.07 .zip file using WinRAR/7-Zip/WinZip or any other extracting tool. Step 2: Copy the SuperSU .zip file to the SD card of your tablet. Step 3: Switch off the Galaxy Tab 7.7. Then boot the device into Download Mode by pressing and holding Volume Down and Power buttons together until a construction Android robot icon with a warning triangle appears on screen. Now press the Volume Up button to enter Download Mode. Step 5: Connect the Galaxy Tab 7.7 to the computer using USB cable while it is in the Download Mode. Wait until Odin detects the device. When the device is connected successfully, the ID: COM box will turn to light blue with the COM port number. Additionally, the successful connected will be indicated by a message saying Added. Step 6: In Odin, click the PDA button and select the CWM/TWRP Recovery .tar file. Verify that Re-Partition option is NOT selected. Step 8: Once the installation process is completed, the tablet will reboot automatically. After the home screen appears, unplug the USB cable to disconnect it from the computer. Step 9: Boot the Galaxy Tab 7.7 into CWM/TWRP Recovery by pressing and holding the Volume Up and Power buttons together. Step 10: In CWM/TWRP Recovery, select "install zip" then select "choose zip from sdcard". Now, navigate to the SuperSU .zip file that you copied earlier and confirm the installation by selecting Yes. Step 11: Once the installation process is completed, return to main recovery menu and select "reboot system now". The Samsung Galaxy Tab 7.7 P6800 running on Android 4.1.2 Jelly Bean is now rooted successfully. You may now install any app that requires root permission. Verify the root status of the device by downloading Root Checker app from Google Play Store. Note: Tested working on Galaxy Tab 7.7 P6800 with Android 4.1.2 DXMD3 Jelly Bean firmware, should work with other Jelly Bean firmware. Try it and let us know. Thank's to all fellas at XDA who first tried out this rooting technique. This method was originally posted via XDA-Developers. All credit goes to CWM/TWRP Recovery and SuperSU original threads. Click here to know How to Update Galaxy Tab 7.7 P6800 with Android 4.1.2 DXMD3 Jelly Bean official firmware. when i open odin, it show Odin 3 galaxy s III, is it oke to use it at GST 7.7? The rooting process on my P6800 went like a breeze. Thanks for the excellent instructions. Thats missing files. How can i get them? Thanks for letting us know, we've fixed the broken links. When I root it and install CWM Recovery how it is written, will Samsung Kies work with this device? Still works fine with Kies. What languages do you have after the upgrade and rooting? I can see a few asian plusn english. Is tne possibility for other languages too? Android 4.1.2 Jelly Bean with base firmware DXMD3 intended for Galaxy Tab 7.7 users in Southeast Asia regions - Indonesia, Malaysia, Philippines, Singapore, Vietnam, and Thailand. But you can still use this tutorial to root your devices. From the Czech Republic. I thought that native rooted android contains the whole set of languages. Unfortunately, the Android 4.1.2 Jelly Bean firmware based on your country (XEZ) is not yet available at this time. For a while you can still use DXMD3 with English. The DXMD3 build is an unbranded version of firmware which means it can be installed on any Galaxy Tab 7.7 P6800 unit. Thank you! This helped and now my SGT7.7 is successfully rooted! You're welcome. All credit goes to the developers of the root method. not fully root, any solution? total size of firmware is just 4.39mb ... that s it ???? i mean tar file ? where are modem and csc files ? why on other links the size of firmware is 730Mb but here its only 4.39mb ?? Here is the step-by-step guide to update Galaxy Tab 7.7 P6800 with Android 4.1.2 Jelly Bean official firmware. No, but you can choose English. Thank you for visiting our blog. You should backup just in case. No! You may have to perform Wipe data/Factory Reset and Wipe Cache Partition via Recovery Mode. Performing this task will erase your data. Please make a backup before try it. Data already backup. i forgot my tab scurity pass. Switch off the Tab, then go to recovery mode (press and hold the Volume Up and Power buttons together) and perform Wipe data/Factory Reset and Wipe Cache Partition. I'm Stuck at >recovery.img for 9 hour..what happen?? ?do i need to wait some more time then? I have flashed my device with XSE-P6800DXMD3-20130424175634 official rom, now device only restarts. Can you please help?